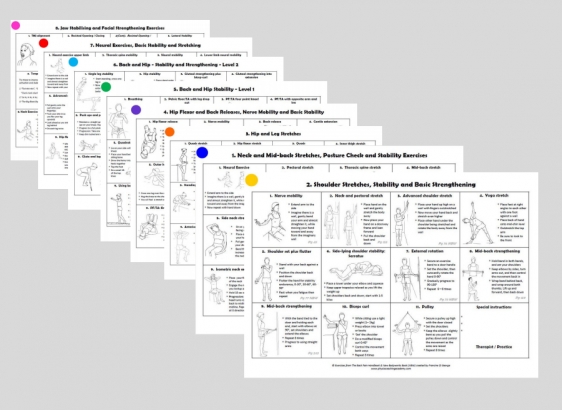 exercise programs with pictures and text to help them with their recovery. We have had fantastic feedback from Physios using The Back Pain Handbook in the clinic. We’ve also had numerous requests as to whether the exercises can be copied for your patients. We have now made this much easier for you. 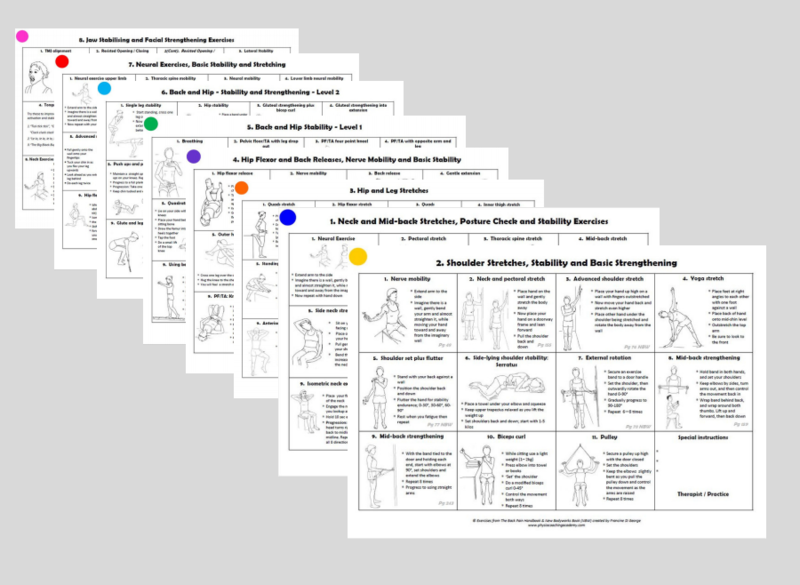 The 8 program sheets cover the routines that we use most commonly in our clinic. There are a few extra exercises included in some of these regimes. These sheets can be handed to your patient, used in your gym or included in your clinic software program for easy access. We really hope you find these programs helpful and welcome your feedback.